By this point, many independent researchers have learned to make their own observations and to draw their own conclusions about world events. Considering the commonplace public displays and protests we have witnessed starting in 2013 and onward, it appears that such independent observation is more than necessary. Since the tragic and suspected false flag shooting at Parkland, FL, many protests, speeches and public demonstrations have been organized by what initially appeared to be organically assembled crowds. However, when we examine the details behind the MSM reports, the strange congruence between all of the previous corporate news narratives, the neatly packaged slogans of these demonstrations, and the overt censorship which all opposing voices to the MSM narrative have endured, we may begin to see something else. 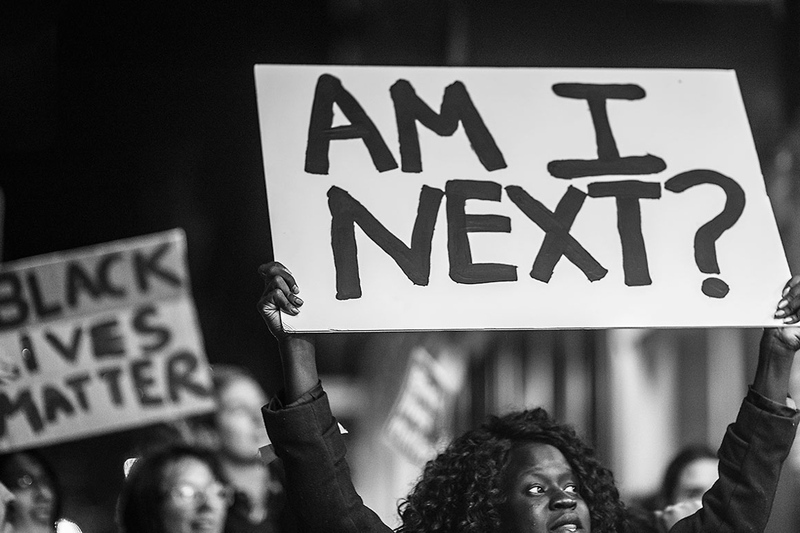 In 2013, the Ferguson shooting of Michael Brown was used as a tipping point for what appeared to be legitimate protests against police violence toward Afro-American citizens. 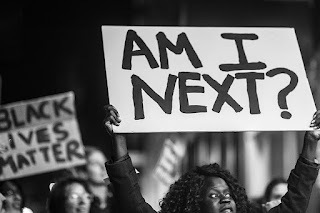 This shooting was preceded by a number of other shootings which were reported by the corporate media as being legitimate and unjust acts of violence by police. The number of questionable and unjust killings by police were said to be what stated the group, Black Lives Matter—an organization which was later proved to be created and funded by international manipulator, George Soros. At first, the BLM group appeared to be a benevolent, international effort to stop police violence against people of color. However, this group showed numerous signs of ulterior motives and questionable ethical standards. The group seemed to play on fears of a racist system from the 1960s—some of which may still be legitimate concerns in certain parts of the country, but not to the degree which the MSM attempted to portray the issue. In 2017, immediately after the election of President Trump, the Women's March on Washington seemed to spring up out of nowhere. Like the others, this march appeared to promote human rights and the push for equality in society. However, this movement showed concerning similarities to all the other movements which were found to lack real focus or intent for actual progress. This Women's March seemed to promote oppression against women and to adopt previously established MSM narratives which had little or nothing to do with women's rights. In truth, the march seemed less respectful of women than any authentic march for women's rights, and was focused upon attaching emotional appeal to the MSM's pre-election, anti-Trump narrative. Just as the case of the BLM marches, the Women's marched seemed to superficially value the rights of a certain demographic, but later proved to be nothing more than an emotional appeal to cause more division in the country than ever before—a mission the corporate media has been steadily pursuing for decades now. Later it was revealed that both the BLM movement and the Women's March were nothing more than Soros funded astro-turf protests designed to push elitist agendas which have existed for years now. When we add in groups such as ANTIFA and the Resist movement—two groups which were also revealed to be heavily linked with Soros money—we find that the majority of large-scale protests that have taken place in the U.S. for the past five to six years have been little more than astro-turf fabrications. 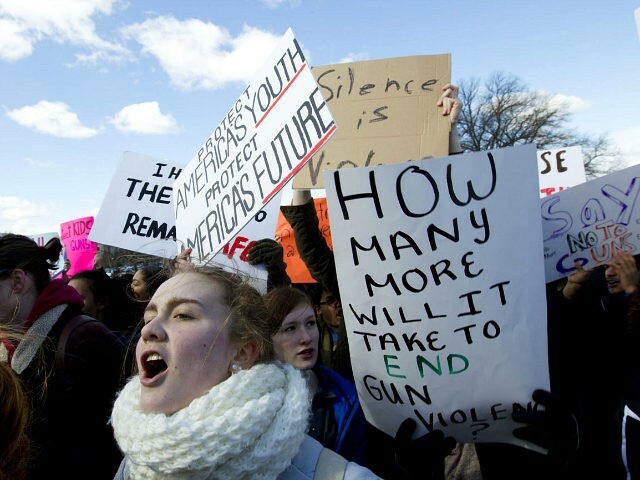 Now we see this apparent protest by young people whom we assume to be authentic high school kids who are motivated solely by their own benevolent intention to make schools safer. There is a chance that this may be the case. However, when we see the exact same signs of astro-turfing which we have seen from BLM, the Women's March, ANTIFA, and the Resist movement, we may begin to realize that this March for Our Lives is not what it appears to be. There are quite a few alarming signs that this movement is yet another desperate attempt by foreign elitist interests to destabilize the U.S. and to increase conflict among citizens. Just as the corporate media (allegedly) intended to divide the people based upon racial differences, and just as they intended to divide the people based upon issue of sexuality, the MSM now appears to be attempting to divide the people with the issue of the 2nd Amendment. 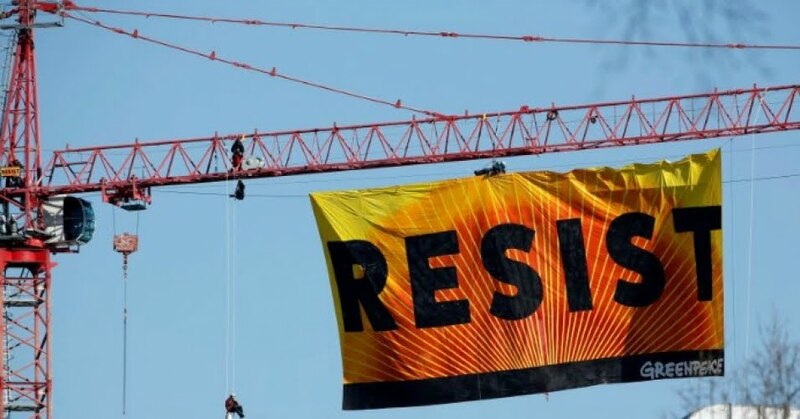 Each time these protests take place, they display the same signs, the same pre-established news narratives, the same luxurious coaches to transport supposedly authentic protesters in style, and the same anti-Trump undertones (even when the march has nothing to do with Trump), these suspicious events show themselves to be much different than MSM news sources care to report. There is much to discuss on this topic, but for now, we will simply ask one question. If there were people who were faithful employees/attendees of these suspected Soros-funded marches; if these people knew when the job ads were posted, and when these events were happening; if these people knew how to be seen and to grab media attention whenever they chose to, how might we find such people? If there were at least one of these individuals taking advantage of one Soros-funded protest after another, what might they look like? We may note the slogans Am I Next and Resist from previous protests linked to George Soros. the budget of anyone interested in actually participating in authentic protests. 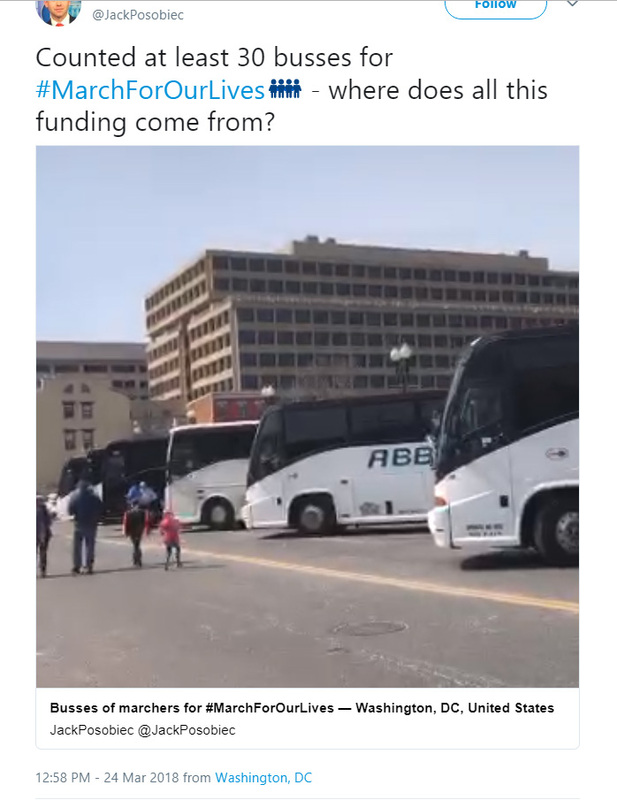 The first of the above images is a screen shot taken from a video tweeted by Jack Posobiec on March 24th. 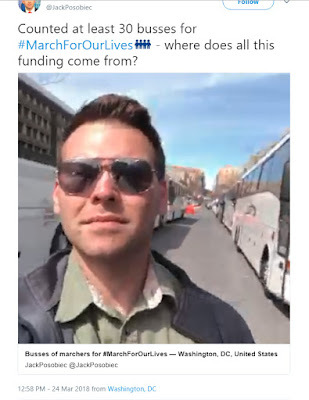 Jack was in D.C. when this march was taking place and was able to reveal quite a few details which the corporate media—for whatever reason—has refused to cover. 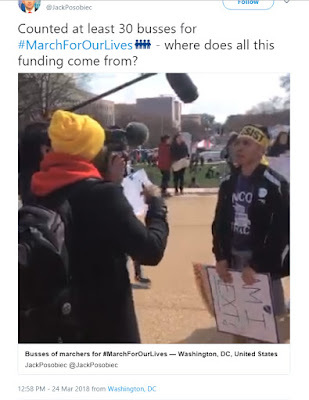 Granted, we do not know for sure whether or not this protester knows the implications of his choice of attire, but we can see that he seems to specifically favor marches that are attached to George Soros' money. We may keep in mind that it takes much more than one screen-shot to prove a point. 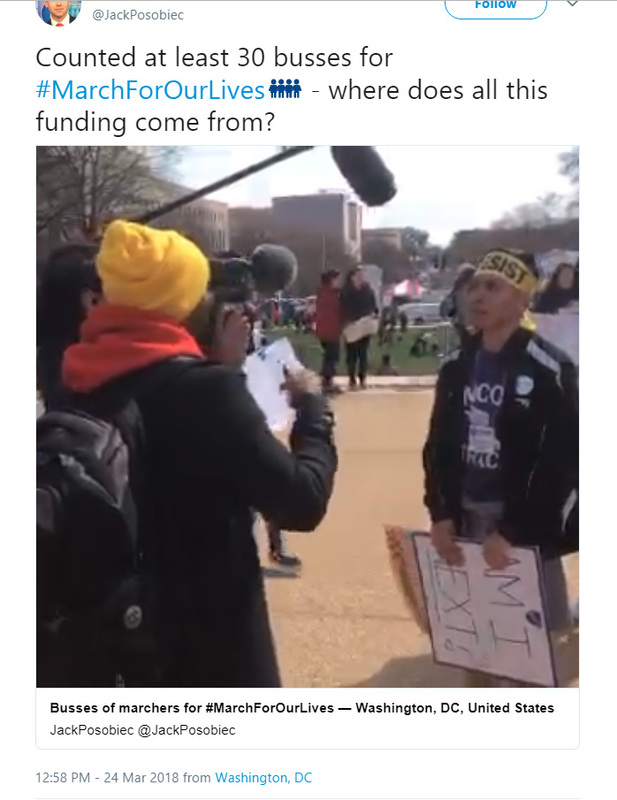 However, due to the amount of evidence that has come forward, it does appear that the March for Our Lives was not organically created. Below, we have yet another sign that the protests we have seen are much more than they appear to be. This includes evidence that the scheduled walk-out by high school students on March 14th was not necessarily initiated by students alone. If this walk-out was purely a self-initiated demonstration of free speech, we might ask ourselves why the facts continually prove otherwise. A Hilliard, Ohio, senior was suspended for refusing to leave the classroom while the March 14 gun control walkout occurred. The student, Jacob Shoemaker, wanted to remain in class at Hilliard Davidson High School as a way to keep from being ensnared in the political debate surrounding gun ownership. Two protests occurred Wednesday—one in support of gun control and one against the gun control movement. Shoemaker did not want to get involved with either side. It is interesting to hear that the school district chose to punish a student when they could have simply given students supervision in school or sent home those who did not choose to walk out. This apparent standard of mandatory participation by students seems to reveal that this walkout was not as it was portrayed by corporate media. So then, what was it? The entire goal of protests is to peacefully defy the system and to apply social pressure to the establishment in order to invoke change of some kind. However, when the school district itself disallows students the freedom to choose whether or not they want to participate and then punishes those that do not participate, the situation reveals itself not to be a protest, but a mandatory school activity designed to create the illusion of a protest. In this way, these demonstrations may have actually been pro-establishment. In this case, the protest appears to be little more than a politically charged initiative driven by school districts to achieve some type of political agenda not disclosed by corporate media. As things appear, the corporate media has not told the entire truth at all. If this secrecy is true to reality, what details have been omitted from the MSM narrative? In whose favor were these omissions made? Does this have something to do with the apparent anti-First Amendment and anti-Second Amendment initiatives of extreme Leftism in corporate media and Silicon Valley?